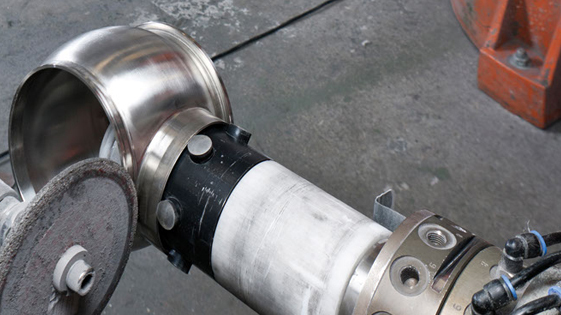 Our robot grinding service offers a unique grinding all the way down to a surface of 0.04 µ. We have several grinding techniques to choose from for different items, and together we will find the right one for you. To ensure the best result, we will gladly carry out a simulation of the grinding technique with the option of adjustments and changes before beginning the work. We offer a wide range of services for a variety of jobs including stainless steel or brass, small or large series and can handle items all the way up to 150 kg. With a team of in-house programmers at our disposal, we can respond quickly and easily readjust from one job to another and have experience in servicing companies in the pharma, automobile and furniture industries.